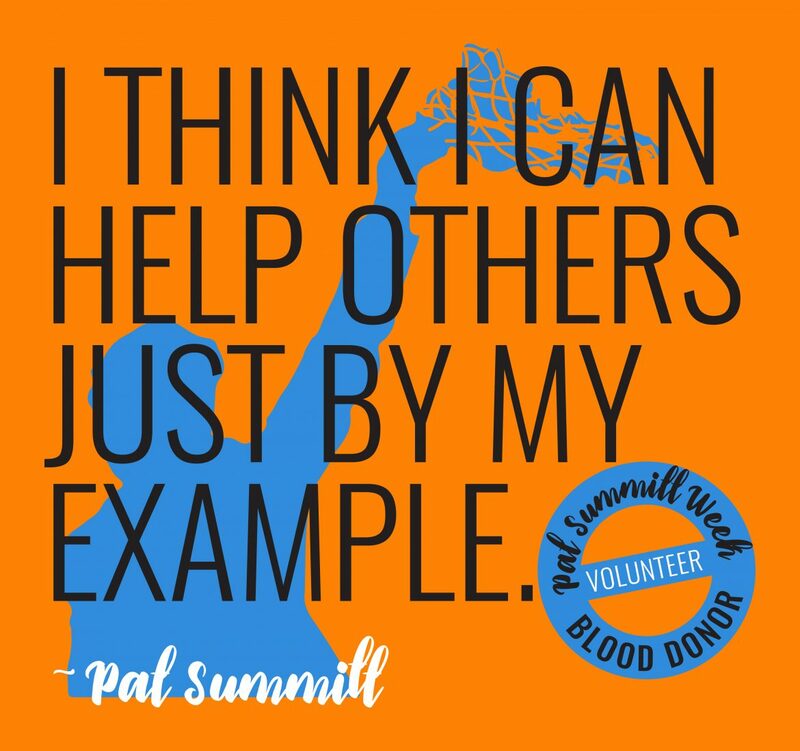 January 25, 2019 – MEDIC Regional Blood Center is rallying its donor base to help The Pat Summitt Foundation in its funding of organizations engaged in patient care, caregiver support, and Alzheimer’s disease clinical research. As a way to say thank you and to recognize Coach Summitt for her accomplishments, MEDIC is asking its blood donors to “Give for Pat”. From Monday, February 4th through Friday, February 8th, anyone who donates lifesaving blood at any MEDIC blood drive will be supporting Coach Summitt’s legacy. MEDIC will make a $10 donation The Pat Summitt Foundation for every donor who donates blood. MEDIC has set a goal of 1,500 donors. Each donor will receive a 20% off coupon from Alumni Hall, a voucher for a small Papa John’s Pizza, and a $5 Salsarita’s coupon. MEDIC is asking the community to use the hashtag #GiveForPat on social media when posting pictures of their donation or encouraging others to give. Those who want to donate can check to see if they’re eligible by going to medicblood.org or by calling 865-524-3074.